RIW Trusts & Estates attorney Bill Friedler will present as part of a panel discussion focused on retirement, estate, and philanthropic planning. 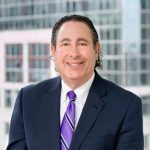 Bill Friedler’s topic will address philanthropic estate planning in light of the recent changes to the Federal estate tax law. The event presented exclusively for Wesleyan alumni, will take place on Thursday, September 13 at RSM US LLP in Boston, MA. The event is hosted by Jim Cashin, Wesleyan University Alumni ’89, Partner, RSM US LLP and Sponsored by Ruberto, Israel and Weiner and the Wesleyan Boston Lawyer’s Association.